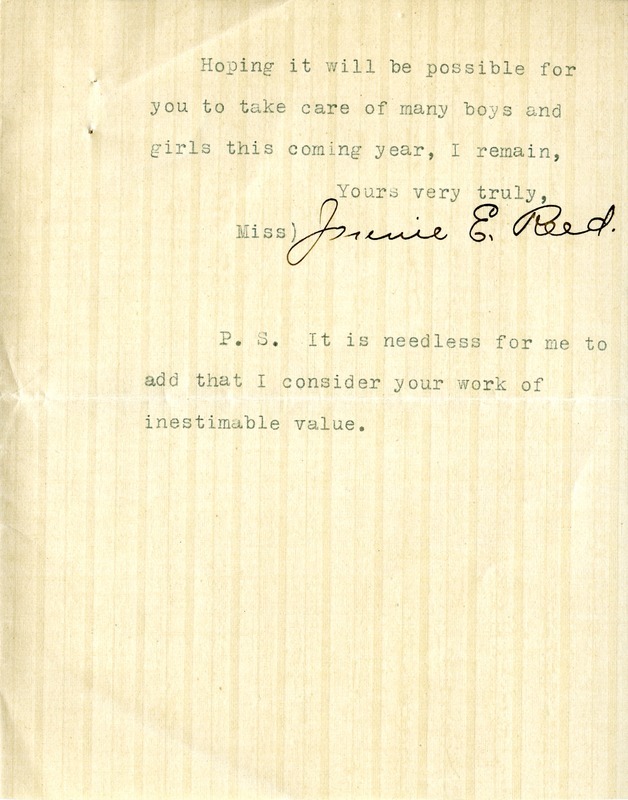 Miss Reed sends a $1 check for the fund that pays for boys and girls with no money to attend school. She enjoys reading The Southern Highlander and passes her copy along to her boss. Miss Jamie E Reed, “Letter to The Berry Schools from Miss Jamie E Reed.” Martha Berry Digital Archive. Eds. Schlitz, Stephanie A., Alan Henderson, Meg Ratliff, et al. 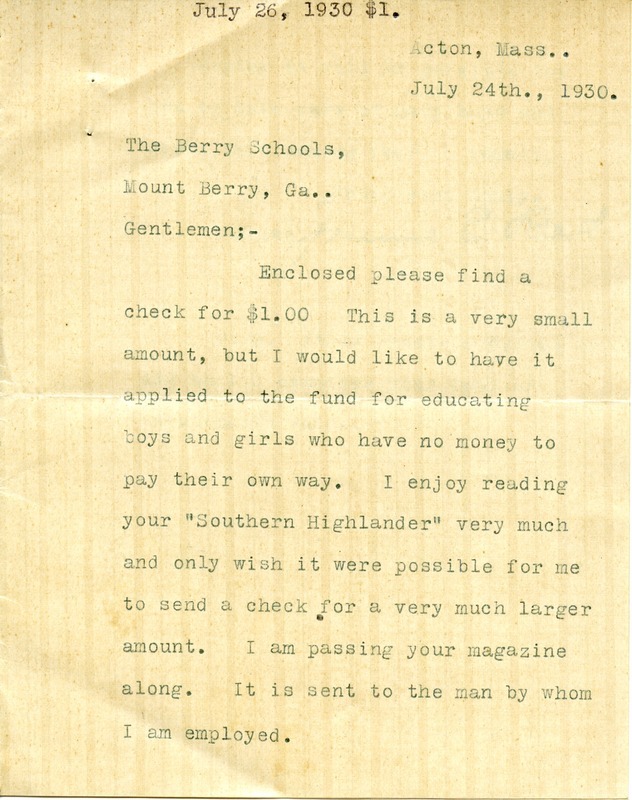 Mount Berry: Berry College, 2014. accessed April 21, 2019, https://mbda.berry.edu/items/show/13806.